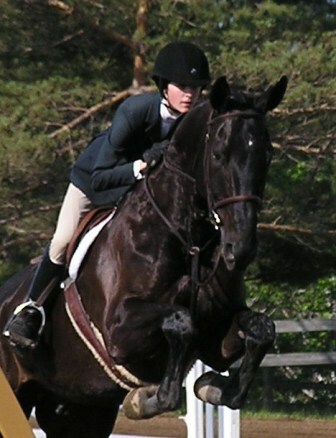 The Riding Academy at Partridge Acres implements a unique teaching system that monitors rider development and promotes progress. Our extensive Levels of Horsemanship Guide carefully develops students into successful equestrians whether they aspire to compete or simply ride recreationally. We offer a broad range of ponies & horses suitable for every level of rider including those who are seasoned riders and benefit from riding high quality competition horses. Boots: Paddock boots, with or without half or full chaps, or field boots (or at minimum boots with at least a half-inch heel). Winter riding boots or other half-inch heel winter boots help keep feet warm in cooler temperatures. Pants: Jodhpurs or breeches (or at minimum fitted legging type pants or jeans). No Shorts or dresses/skirts when riding. Tops: Polo shirts or T-Shirts or appropriate sleeveless shirts with wider straps for warm weather (please no tank tops). Long sleeves, vests, sweaters (please no hoods as they flop around and are distracting) and jackets that are comfortable but not too baggy for colder weather. Hair: Please ensure hair is either in a braid or braids, pony tail or tucked up in the helmet. Hair nets are required for ages 12+ (if medium/longer hair) please ask how to correctly use a hair net with a riding helmet.